McDonald's is on a mission to make its menu more sustainable. Now, the fast-food giant is taking on its own coffee. 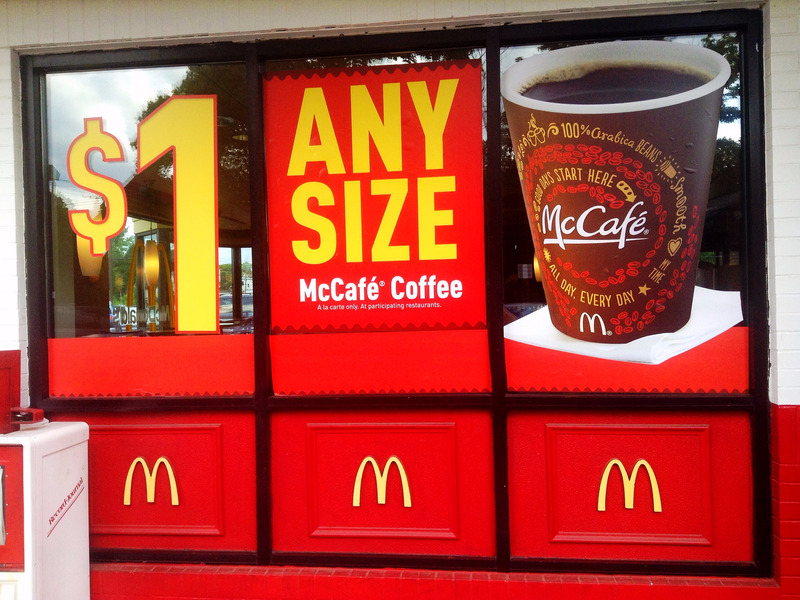 McDonald's plans to buy all of its coffee from sustainable sources by 2020, Bloomberg reported on Wednesday. Currently, just 37% of the fast-food chain's coffee comes from certified sustainable sources. To increase that figure, McDonald's is working with Conservation International, a nonprofit that worked with Starbucks to help the chain reach the milestone of using 99% "ethically sourced" coffee. The coffee industry is under pressure to adopt more sustainable farming methods, but the definition of sustainable remains pretty broad. International standard-setters such as Fairtrade and Rainforest Alliances have created markers for sustainable certification. We reached out to McDonald's to find out more about how it defines sustainable, but we have yet to hear back. The coffee change-up is part of a wider effort at McDonald's and the fast-food industry more broadly towards more natural and ethically sourced ingredients. In the last year, the chain has tested fresh beef patties, promised to cut antibiotics from its chicken supply, and replaced margarine for butter in its breakfast sandwiches. "A lot of people have assumptions about what McDonald's food is," McDonald's corporate chef Jessica Foust told Business Insider in July. "The industry in general is challenged because there's a stigma in general about what [quick-service restaurant] food is, and that is very very unfortunate. Personally, I don't think that helps people eat well." Customers are increasingly demanding that companies increase their transparency when it comes to sourcing and ingredients. Chains such as Papa John's,Panera,and Taco Bell have recently cut artificial ingredients from the menu, and others including Subway, Chick-fil-A, and Wendy's have worked to cut antibiotics from the supply chain. With McDonald's four-year plan to revamp coffee, it doesn't look like the chain's efforts to escape stereotypes of cheap and low-quality food are slowing down any time in the near future. .. Chick-fil-A takes the title. The classic McNuggets are second, followed by Burger King and Wendy's. Chick-fil-A's simple little nuggets provide the right texture, flavor, and crispy goodness that lead us to believe it has the best chicken nuggets in the game.